Featuring strong investigative reporting and analysis, Jack Burkman uses his experience to reveal the secrets that K Street tries to hide from the public. A Healthier You - Better Health Care Policy features current developments in health care policy in the United States. practical advice to help start, run and grow your business. Topics covered include strategy, incorporation, business licenses, compliance, and more. If you missed the Dr. Bob show, you missed a lot. The doctor talks about eating the right foods. Retired Navy Seal Kristin Beck has seen countless acts of heroism as a Navy Seal but what about your everyday hero? People perform heroic acts everyday. Maybe you have seen that everyday person on the news who saves someone's life. But maybe a hero is also just a teacher who put the extra effort into a student who became someone ... See More who changed countless lives. Maybe it's an accountant who found a way to fund a homeless program. These are the stories of Everyday Valor. Some wear capes, some wear suits, some wear uniforms, some wear a dress. All help without being asked. What made them different? What made them act? That's what we try to find out with every person on Everyday Valor. Podcasts are a powerful way to engage an audience on an ongoing basis. If you create engaging, useful content that your customers and prospective customers need and are entertained and informed by you have created a loyal brand follower. Your Weekly Connection to the People, Places and Products That Make Wine So Much Fun! Neal Asbury presents top news stories and their impact on the worlds of entrepreneurship, small business ownership and the overall economy. Because motherhood is a journey. Temporary staging for archiving old podcast episodes. Privately managed. Internal use only. Host Larry Klayman provides an exclusive first-hand look at the details of high profile legal cases and investigations. Bill Walton sits down with experts and interesting people to discuss how to achieve economic prosperity and human flourishing. The Dana Show with Dana Loesch is an award-winning, #1 rated, daily program featured on stations around the country and online. Dana Loesch's original brand of young, punk-rock, conservative irreverence has found a fast-growing multi-media audience. She’s feisty and fearless without being abrasive and shrill. A former ... See More award-winning newspaper columnist, Dana has been named to Talkers Magazine’s top 100 “heavy hitters” the last 6 years running and was ranked as one of the top 16 most powerful mothers online by Neilsen. The 2012 winner of Accuracy In Media’s Grassroots Journalism award and the inaugural Breitbart Spirit Award, Dana was also one of the original Breitbart editors selected by her late friend and mentor, Andrew Breitbart, to head what was BigJournalism.com, where she helped break the Anthony Weiner scandal before departing in 2012. A former award-winning newspaper columnist, ... See More Dana has been named to Talkers Magazine’s top 100 “heavy hitters” the last 6 years running and was ranked as one of the top 16 most powerful mothers online by Neilsen. The 2012 winner of Accuracy In Media’s Grassroots Journalism award and the inaugural Breitbart Spirit Award, Dana was also one of the original Breitbart editors selected by her late friend and mentor, Andrew Breitbart, to head what was BigJournalism.com, where she helped break the Anthony Weiner scandal before departing in 2012. 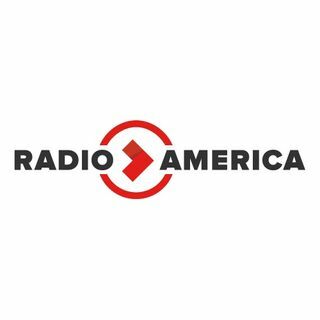 A one-hour weekly talk show dedicated to America's heroes. The National Defense brings to the forefront issues of vital importance to our country. World War II Chronicles is a weekly look back to 'This Week in World War II, 75 Years Ago.' Originally produced in coordination with the National Archives to mark the 50th anniversary of the war, World War II Chronicles features original newsreel reports and archival footage to tell the story as it happened, week by week. ... See More Hosted by famed World War II newsreel anchor Ed Herlihy, World War II Chronicles is produced by the American Veterans Center.